We love frozen burritos so much that we started Freezer Meal Frenzy so we could review as many of them as we could find. (If you don’t believe us, check out our story on our About Us page!) 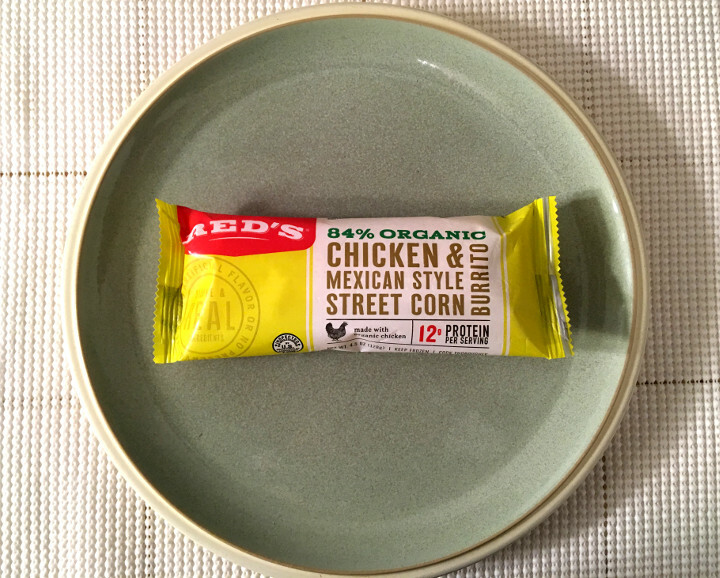 Today’s frozen burrito is Red’s Chicken & Mexican Style Street Corn Burrito. 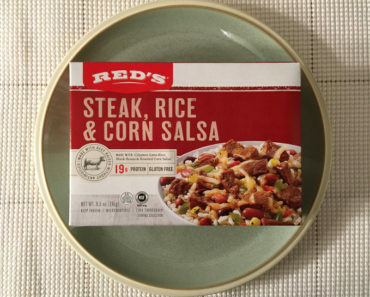 We have our own special way of heating up our burritos, but when it comes to Red’s, we tend to follow the directions to the letter. These are a bit more complex than your average burrito instructions. You’ll need to get your oven preheated to 375 degrees fahrenheit. While that’s warming up, you’ll want to thaw the burrito in the microwave for a minute and get a baking sheet greased up. 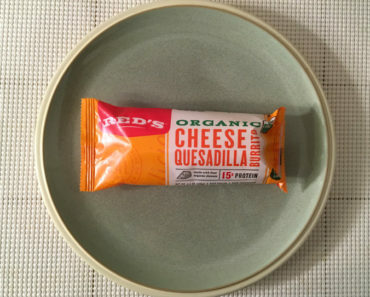 Place the burrito on the greased-up baking sheet, then cook it for 11-13 minutes, flipping it over about halfway through. Then you’re ready to enjoy this tasty treat. This is actually a slightly sweeter burrito, as the street corn serves as the base flavor here. With the addition of cotija cheese, you’ve really got that authentic street corn flavor. We really love that. 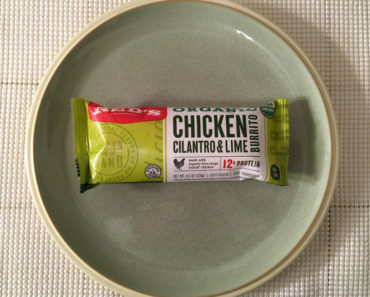 The chicken is shredded pretty thinly, so it adds far more to the texture of this burrito than the flavor. If you do end up getting a a hefty piece of chicken, you’ll notice that it has a little bit of a salted flavor, which really combines well with the sweetness of the corn. There are, of course, some black beans inside as well, but we don’t think they add all that much. 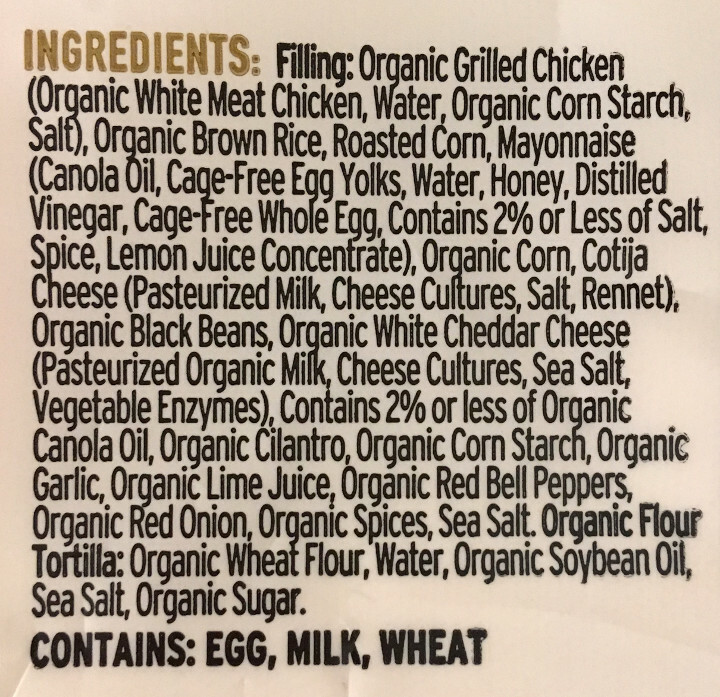 The corn-and-chicken combo is such a potent one that the other ingredients hardly even matter. This is one delicious combo. It’s also a bit higher in calories than we’d like. 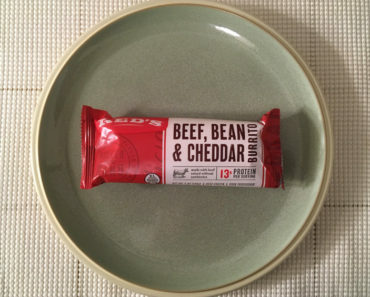 At 320 calories, it won’t break the calorie bank on its own, but if you add a second burrito, you’re really going to see those calories skyrocket. And we do think you’ll want to eat two of these at a time, since they’re not very big. Red’s Chicken & Mexican Style Street Corn Burrito is incredible. 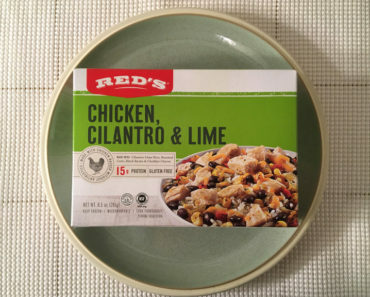 The corn and cotija cheese really make this sing, and the chicken comes as just an added bonus. 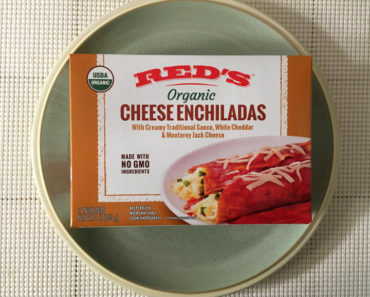 We’re happy to report that this is one of the better frozen burritos in the Red’s product line. 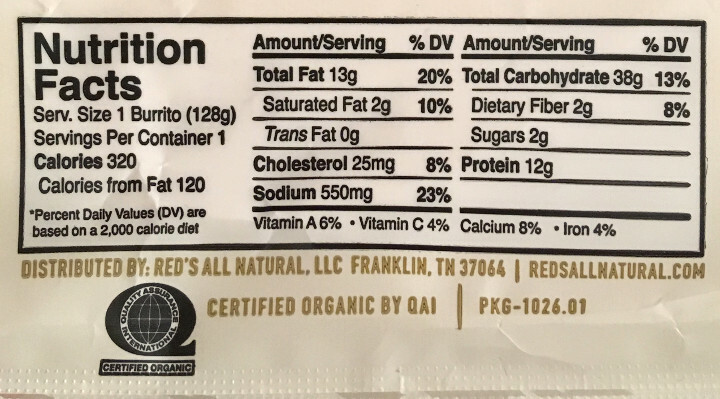 To learn more about the nutrition content or ingredients in this Red’s chicken burrito, check out our package scans below.